I am writing this the next day. Legs feel fine, and back is not stiff at all (which is unlike on a road sportive where recently I tend tighten up). My arms are a different story - I can barely type they are so sore. 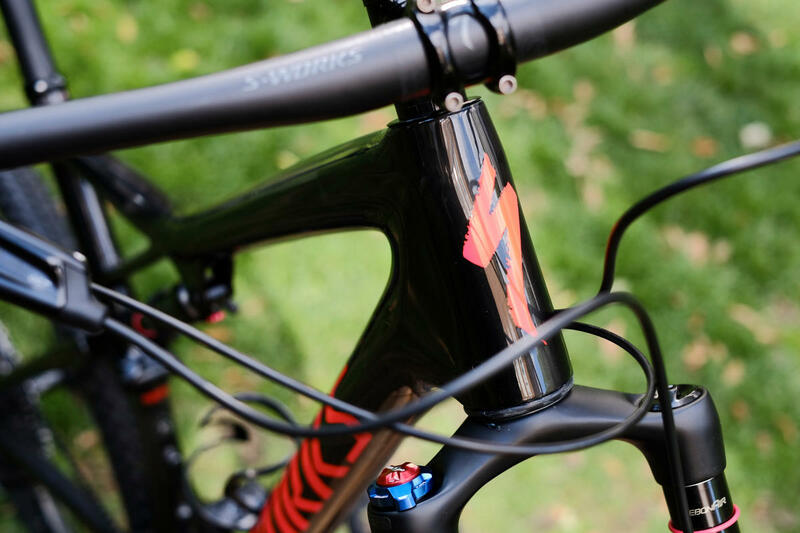 I rode a Specialized S-Works Epic which is a full suspension race rocket. The vast majority of the locals rode hardtails (which means front suspension only). They absolutely annihilated me on the descents - was not even close. On a road bike I am not an amazing descender; I am okay, but certainly lose time versus the best guys. Its less about technique and more about a lower risk profile. I brake much earlier into corners than quick guys - this results in seconds lost on every switchback. But at least I feel smooth and in control - and I can hold my own. I will pass plenty of other road cyclists down a hill. Part of it is simple technique; you are barrelling down a hill and the terrain is constantly moving - sand, rocks, pebbles, mud all present different levels of grip and traction. On a road bike you brake early and turn smoothly. On an MTB you may turn in on your line and then hit a rock wich straightens the bike up and throws you off your line. Or you turn in and then traction goes and you wash out. Its bad enough on your own when you can pick a line; but at the start of the race lots of nutters are overtaking and undertaking you. 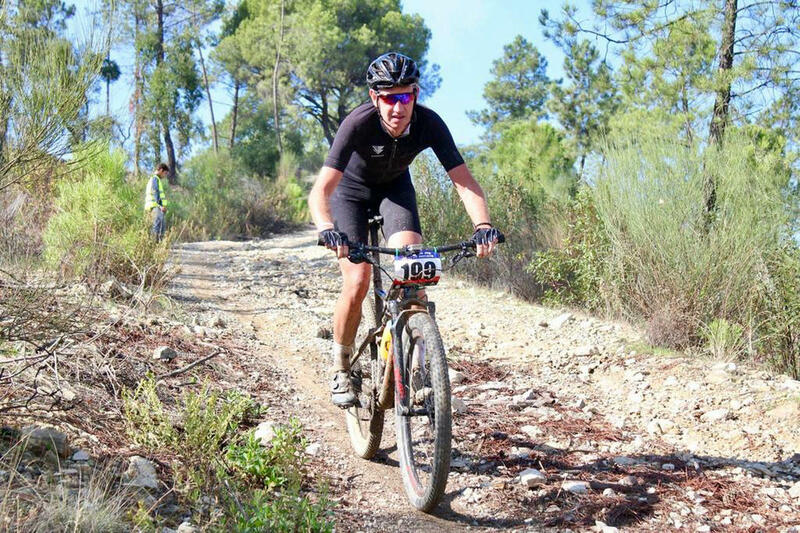 The other issue is mental - you spend 25yrs on a road bike trying to avoid potholes when descending; it is a real mental challenge to barrel into huge cracks on a MTB and know you will come out the other side. Its just a practice thing; even in the 4hr race my descending at the end of the ride was so much faster and smoother than at the beginning. At the beginning I felt very stiff on the bike - but the answer is just to throw it down the hill and let it do its thing. Weight way back, keep a loose grip on the bars and let the bike make its own way down. When you get it right its exhilarating and makes you feel like a kid again. By the end of the race, when you are knackered your descending is faster because you care less and just want to finish! The other reason for my caution is that 5 weeks ago I crashed on a MTB when being taken out by another rider and it resulted in a trip to A&E and a disclocated elbow. Sub-optimal! Its a lot better mow and I can straighten it; but its not 100% and still stiff in the morning. Physiologically you feel vulnerable; I knew if I crashed in the race there was a good chance it would come out again and I would be back to square one. So, descending is not my forte, I am doing it in a genre where I am a total newbie, nutters are flying past me with reckless abandon and I know if I crash I will likely to be in severe pain and back in a cast for 3 weeks. So I gave myself a slight pass for being "stiff on the bike" at the beginning. If the above sounds negative, I don't mean it to. I had an absolute riot; I genuinely can't remember having so much fun in a race before and did not want it to finish. Being out in the deepest country is incredibly liberating. The camaraderie in MTB'ing is great. I dropped an energy gel and a guy stopped, turned round and got it for me. That would not happen in a road race. Because the speeds are slower and rolling resistance is so much higher (big tyres, heavy tracks) you will be working for the entire race. Its not like road sportives where you can work at the front of the group but hide in a huge pack doing 100 watts. Because the terrain is so varied you constantly need to be on your toes. At the same time it means the route is never boring. It's a nice feeling to end a race feeling strong - physiologically so much better than being battered. When I was last into MTBs I was a teenager - things like Klein were the coolest bikes; made of Aluminium and had amazing paint. 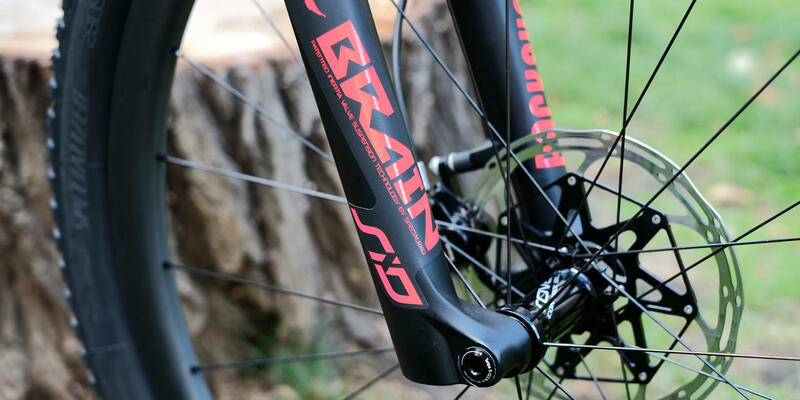 They were all 26" wheels, 80mm of travel in the front only and to get under 10kg was the holy grail. 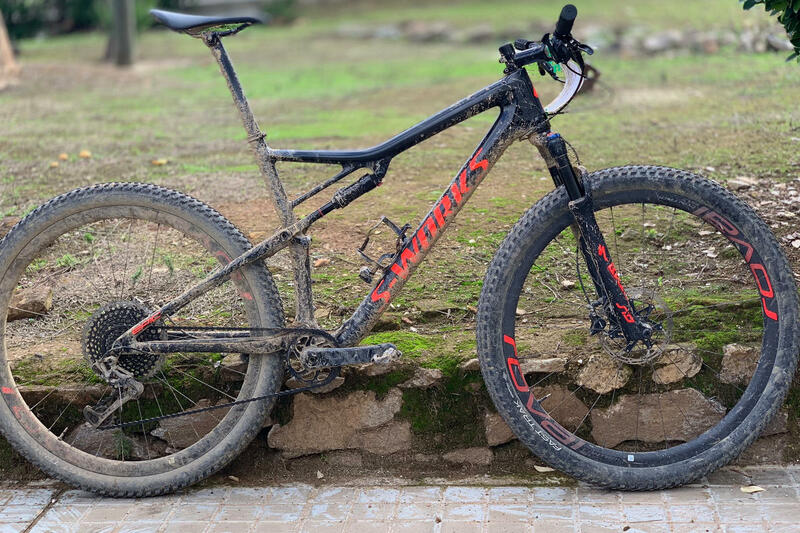 We are now at the stage where full suspension 29'er bikes with 100mm of travel front and rear are the same weight. Its amazing to see the progress. As is my way, I got obsessive when researching what MTB to get. 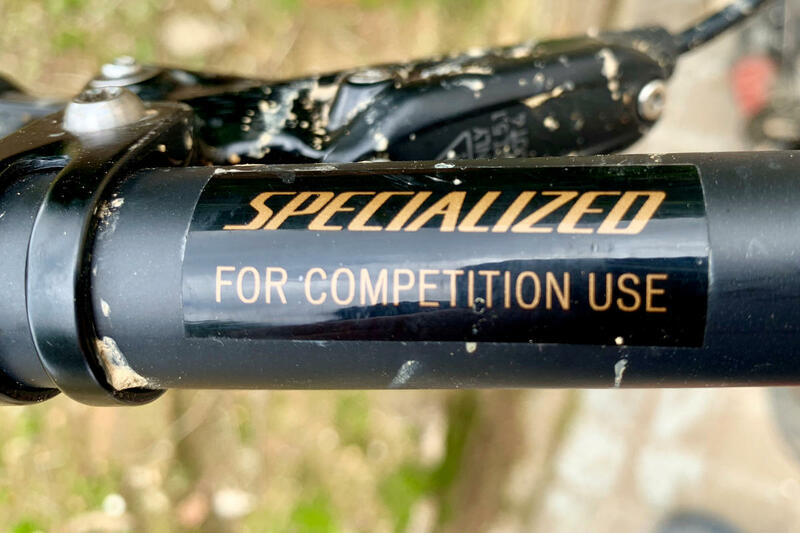 Even though we are mainly known as a road shop we are lucky enough to work with some of the very best MTB brands in the world; Trek, Specialized, Cannondale, Moots, Yeti and Santa Cruz - you can't get much better than that. In the end, after hours and hours researching, I chose an S-Works Epic. I will do a review of that later, but needless to say its amazing and is so much better than I am it beggars belief. 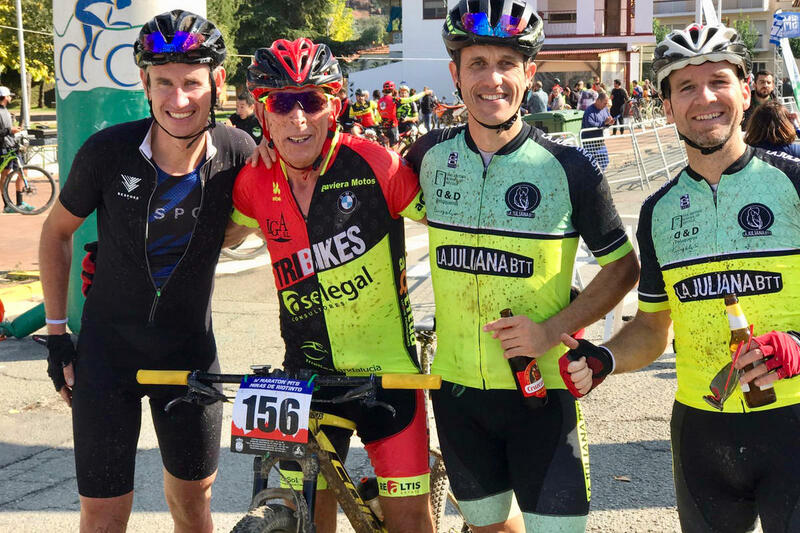 The MTB race season is now over; but I am desperate to do more events. Like a kid who sees his presents but has to wait, I want my gratification now. Alas the season re-starts in March and I will be there. I cannot wait. Over the winter I plan on getting my elbow better and then practicing descending. Its not called 'free speed' for nothing. And there are so many events to do - marathons, half marathons, multi-day stage races. A whole new world awaits! Baggy shorts and generally larking about on a MTB. Trail riders seem to resent having to exert much aerobic effort to get uphill; its all about having fun. Less pain and sweat and more about having a laugh. Clearly anathema to the classic roadie. The hot new thing; kind of like downhill, but with multiple stages which are timed, linked to untimed transition stages. The total nutters who wear full protective gear and throw bikes down steep mountains. Say things like "gnarly" a lot.